. . .East. A.M. Shifted the Mainsail, Mizen, Fore, and Main topsail. Wind, South-South-West, South-West, West by North; course North 46 degrees West; distance 86 miles; latitude 48 degrees 27 minutes South, longitude 92 degrees 5 minutes West. Thursday, 16th. The first part of this day had fresh Gales and Cloudy; in the night thick hazey weather with heavy squalls of wind and rain, which obliged us to close-reef our Topsails. In the morning and all the forenoon had strong gales and cloudy weather, and very heavy Seas from the South-South-West, one of which broke upon the Quarter and carried away the Driver Boom. Wind North-West, West, and South; course North 74 degrees West; distance 97 miles; latitude 48 degrees 0 minutes South, longitude 94 degrees 25 minutes West. I read this book for research in a book that I was writing. What an amazing tale. Scanned this for useful journal entries for my 'Land Ahoy' topic. 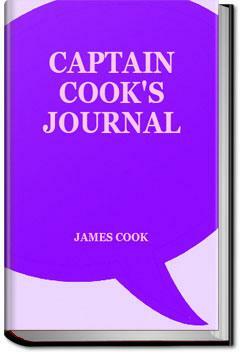 I learnt a lot about Captain Cook's life; personally, I found this interesting because he is from the same area as I am. Overall, a good book for the researcher and enthusiast. - found this book's contents helpful and inspiring - number rating relates to the book's contribution to my needs.